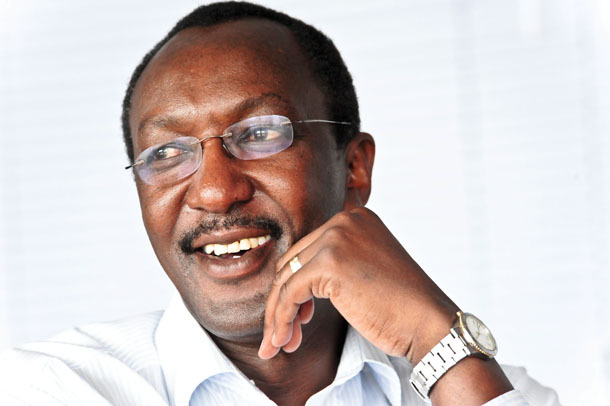 Retiring Kenya Airways CEO Titus Naikuni has been appointed chairman of Rift Valley Railways Board of Directors with effect from November. Naikuni will head a board that has been reconstituted following recent shareholder restructuring at the regional rail operator. He brings extensive operational, business leadership and policy formulation experience to the rail operator that has been consolidating volume and efficiency gains on the back of substantial capital investments, including new contracts for steel, fuel and bulk grain transportation. RVR is at the midpoint of a sh25 billion ($287 million) capital investment and turnaround programme that began in January 2012 to revitalise the railway that had been ailing from years of neglect and underfunding. Since the start of the renewal programme two years ago, the company has invested sh11 billion ($126 million) against the required $40 million (sh3.5 billion) in rehabilitating the operation by installing modern rail operating technology, rebuilding infrastructure, expanding haulage capacity and developing modern rail operating skills in the 2,400 strong workforce. “RVR’s recent achievements and the full funding of its investment and growth plan, demonstrates that it is now uniquely positioned to become a high performing railway network that can spur trade and economic growth in the region,”said Naikuni. To have such a seasoned and transformational business leader chair the RVR board is a big win for the company, said Ahmed Heikal, chairman of Qalaa Holdings, leading shareholder of the railway firm. Is your business ethics ready?